Alabaster is a name used for gypsum and calcite but has also been used to indicate selenite. These minerals are easily worked due to their low hardness and have been used to craft all sort of things from since antiquity. Think of sculptures, household items and, of course, jewelry. 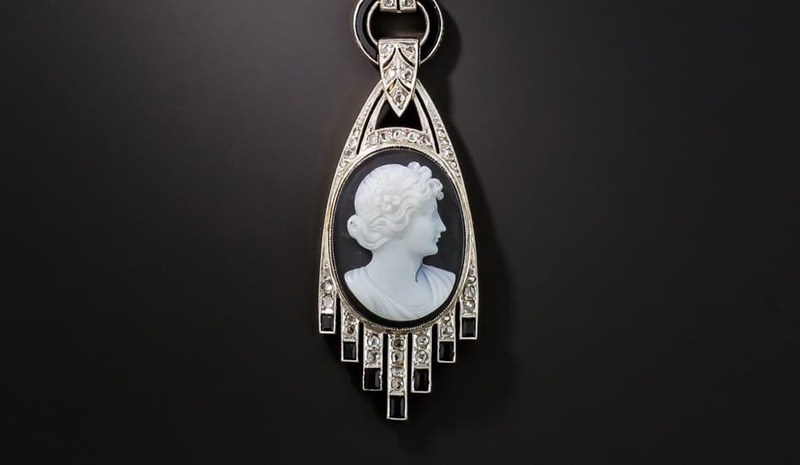 Cameos composed of alabaster carvings set on onyx backings are regularly encountered in vintage jewelry. Alabaster Carving on Onyx Background.